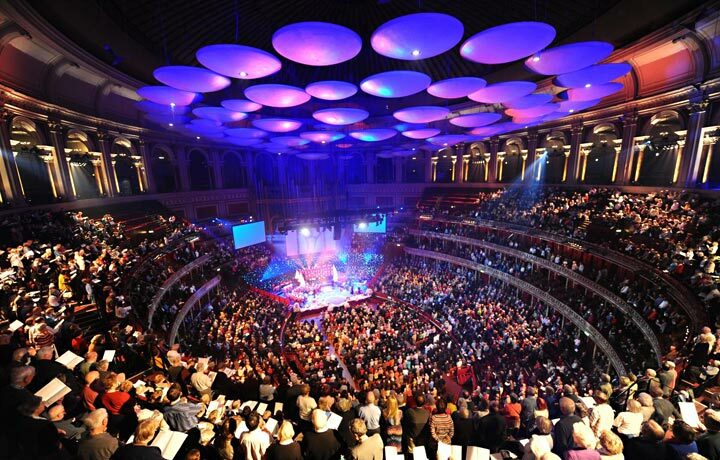 The Royal Albert Hall selected Polybutene-1 for its piping systems. Simplicity of installation, light weight, long life expectancy and the considerable acoustic qualities of Polybutene-1 were the reasons why PB-1 was specified for the replacement of the hot and cold water and new chilled water mains, installed round the curvature of the basement service area in The Royal Albert Hall. 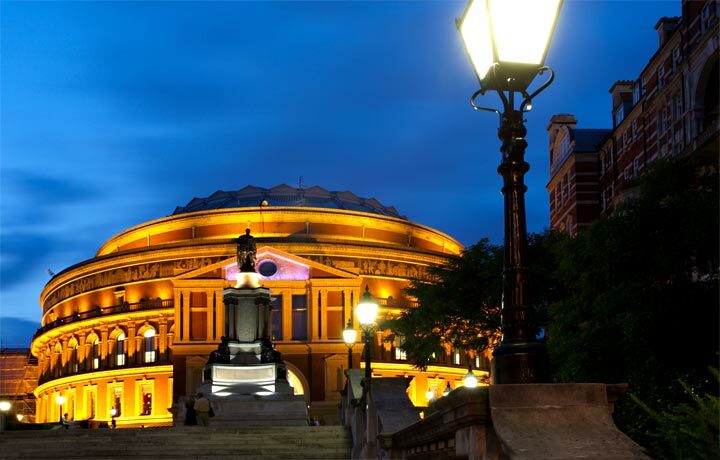 The Royal Albert Hall – one of the world's great concert venues. With PB-1 installed, future connections are simply made by cutting in situ and inserting a fitting. The circular concert area is surrounded by the piping system making acoustic dampening essential. 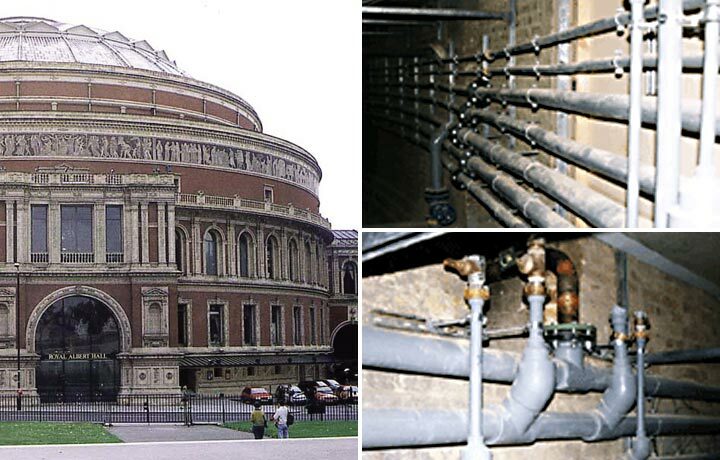 The Royal Albert Hall (London, UK) replaced pre-radiused steel pipes for its curved interior walls with a Polybutene-1 system of pipes and fittings. The PB-1 system delivered a longer lifespan (no corrosion, scale or encrustation) and superior acoustics at a lower cost. 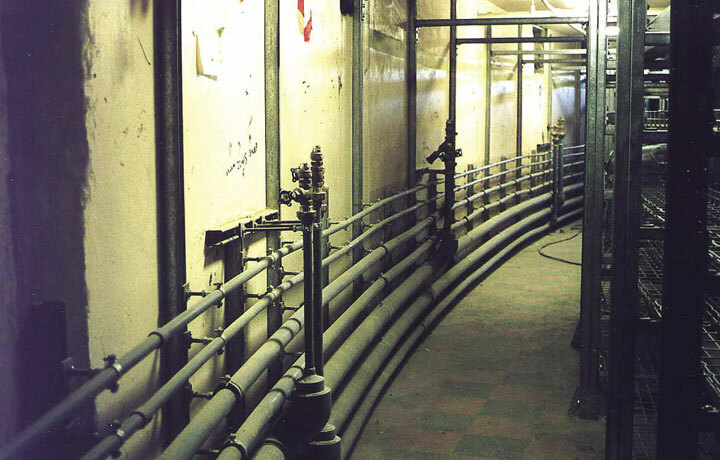 Replacing the old pre-curved steel pipes in The Royal Albert Hall, with the flexible INSTAFLEX Polybutene-1 system, considerably reduced installation costs by eliminating the need for off-site prefabrication to match the tunnel curve, and eradicated the requirement for special fittings previously needed for connecting the pre-radiused steel pipes. Being less than one quarter the weight of steel, and easier to joint, the size of the Polybutene-1 pipe from GF varies from 90 mm (3-1/2") mains to 16 mm (5/8") to connect onto the existing copper risers. On average, replacing steel pipe with the GF Piping Systems' Polybutene-1 system can save over 30% in overall costs. But elimination of the need for pre-fabricating the steel pipe to match the radius of the curved tunnel further increased the savings for the Royal Albert Hall. The simplicity of using the Polybutene-1 fittings to connect the existing reduced diameter service tails to the 90 mm diameter PB-1 main, also contributed to the overall savings. The new PB-1 hot and cold water services were installed for toilets, dressing rooms and kitchens and in addition, a new chilled PB-1 water service was installed for the new air conditioning and fan cooling units within the building. Over 1 kilometre of the system was used to replace the corroded galvanised iron hot and cold water services, and also for the new chilled water supply required for the air conditioning. The new piping system was part of the Royal Albert Hall's £68-69 million programme of refurbishment work, partly funded by the Arts Council and Heritage Lottery Funds. A consideration for the choice of a PB-1 piping system was to eliminate the potential for leaks, thereby removing an ongoing maintenance requirement. Also attractive was the fact that new services can be added by the quick and simple insertion of electrofusion tee fittings. Non-rusting and corrosion resistant Polybutene-1, which carries a 10 year guarantee from GF, reduces pipe-borne noise emissions by 90 percent, and heat loss by over 40 percent when compared to steel or copper systems. The superior acoustic properties of Polybutene-1 in comparison with other materials delivers excellent sound dampening and this consideration was very important. The combination of thinner pipe wall construction, low elastic modulus and low specific density in Polybutene-1 pipe leads to high absorption of “water hammer” and other noises associated with heating and cooling in pipe systems. 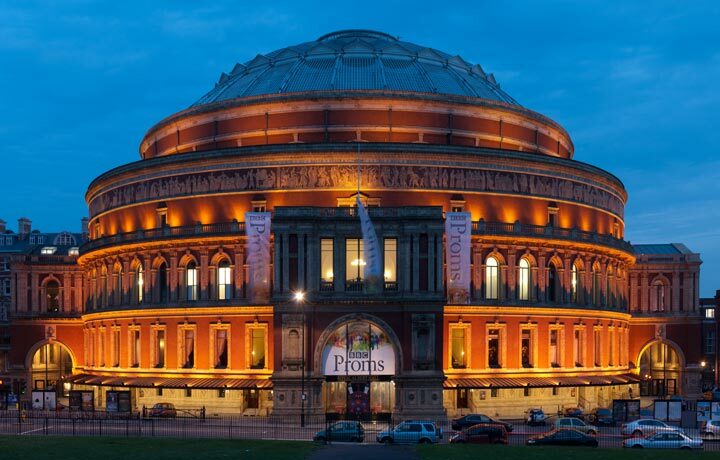 Tests showed a 90% reduction of pipe-borne noise in the Royal Albert Hall following the installation of the new PB-1 piping systems. With a smooth, non-corroding, inner bore which rejects encrustation, lightweight Polybutene-1 is highly resistant to stress cracking and due to its flexibility, reduces the requirement for fittings for changes in direction. The use of socket fusion and electrofusion techniques to join the pipes and incorporate the fittings for the heating, hot and cold water and chilled water system, produced an integral bond of the Polybutene-1 pipe and joint, ensuring a leak and maintenance-free system. INSTAFLEX, has a design life of 50 years and operates up to 95°C and on chilled water down to -5°C. Depending on temperature, it can operate up to 16 bar pressure.